Hello there! Well, it's come the time where I have to say goodbye. It's been over 4 years since I started creating for The Sims 3, and now with The Sims 4 around the corner, it's the moment to turn the page and start fresh with this new era of sims! I have so many beautiful memories with you along these years, and this is my way to say: Thank you! ~ Outfit is under everyday, formal, and career categories, for female teens. young adults and adults only. 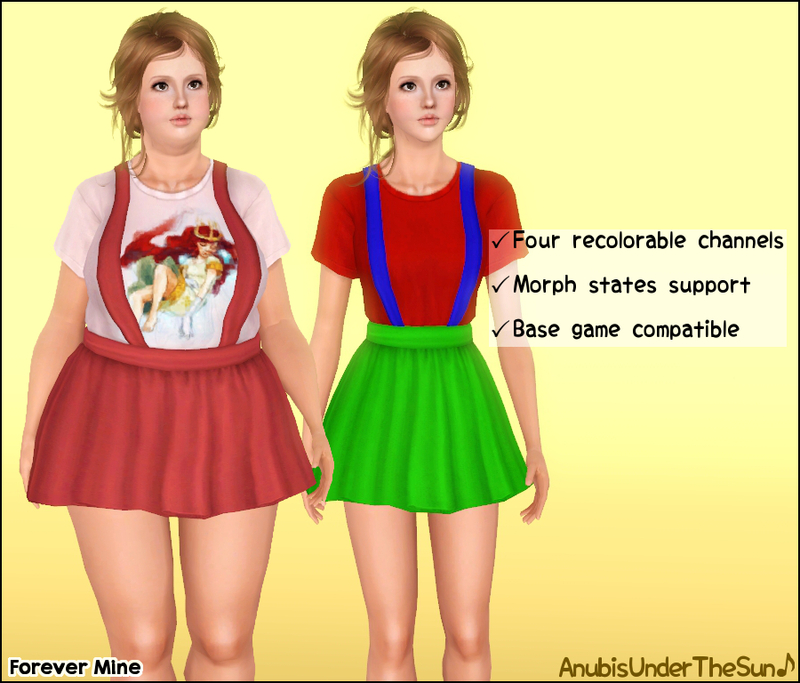 ~ Both package and sims3pack formats available. Anubis, it was a pleasure and the honor to "meet" you and be able to download your creations! You're an amazing creator :) Thank you for the last 4 years :) Hope to hear from you soon :) Hugs and all the best! You were a very liked creator and person in our community and we loved you and your stuff very much. I always liked your theme, too. :D It's beautiful ♥. Thanks for these wonderful outfits I'm going to download and I hope I can expect clothes as beautiful as these for The Sims 4. So Thank you very much. Oh Anubis. You are amazing!!! You are one of my favorite creators. Hope to see you on ts4!! <3 Thanks. Looking forward to your Sims 4 creations. I've tried to make sure I listed your things in the Sims Community Updates I post everyday, and hope to list your new things soon! Thank you for all your wonderful creations along these years. You've made my sims 3 gaming more enjoyable! Thank you for all the wonderful stuff you gave for sims 3. I'm forever grateful. Very beautiful work as always! However, sad day for the Sims 3 community! I know I speak for countless others, that you are deeply appreciated and the community will miss your work! A heart from me to you! And endless with thanks! You made the best CC to the Sims 3... Ever! Thank you so much Nubie~ Your creations are always awesome. Sending love from Indonesia! Thank you for all your wonderful creations, I have a lot of them in my game, you are one of my favourite creators. It's very sad to see you leave TS3, I don't like TS4 from what I have seen/heard about the game. 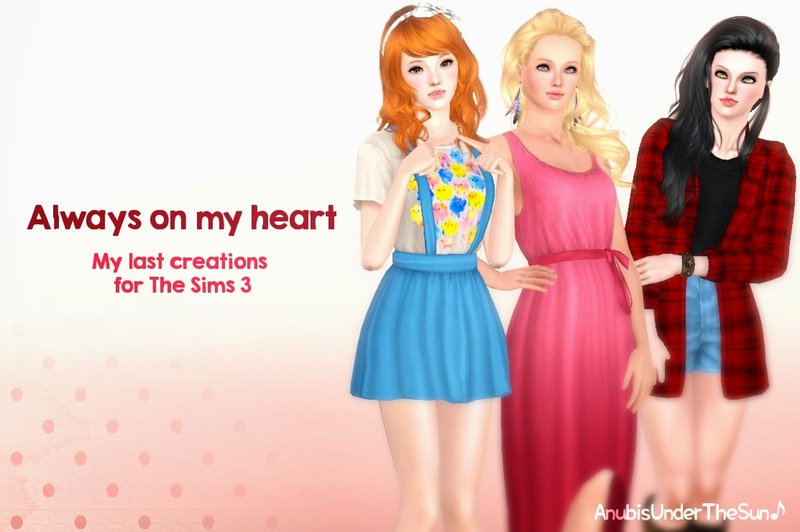 I hope that at least your TS3 creations will be available for downloading. *cries for eternity* So sad about you leaving us for Sims 4, but thank you so much for all of your amazing creations, they are much appreciated and I love them! Please don't take down them! I love it! Thank you for all of your beautiful creations and i will miss you soo much! - Please read the descriptions and model credits before commenting. - Do NOT ask for sims3pack versions if not available. - Do NOT request for hairs/clothes. - If you have any doubt about downloading and installing custom content, please read my Help section. Template by Anubis and Juliana. Powered by Blogger.